All applications for Russian visas (with the exception of a transit visa) require a specific visa support document – a visa invitation. This is often called ‘visa support’ or ‘invitation letter’, and must be issued by the party inviting you to Russia, whether a tour company, employing company, educational institution, relative, or a friend. In order to do so, you will have to leave the country and apply for a new visa. It is vital to bear in mind that the validity and type of Russian visa you are issued should be strictly adhered to. Once you are in Russia, you can neither change your visa status (e.g. from tourist to business, business to educational, or vice versa), nor extend the validity of your visa (except in an emergency). Cheapest and easiest to obtain. Best visa type for short visits. Single or double entry visas available for a maximum stay of thirty day. Issued on the basis of an invitation and voucher provided by an authorized Russian tourist company. Non-extendable – if you wish to prolong your stay in Russia, you must leave the country and obtain a new visa. Often recommended instead of a private or homestay visa, which is much more difficult to obtain. Issued on the basis of a business invitation from a Russian company authorized by the Russian Ministry of Foreign Affairs. The invitation normally takes 20 working days to issue. The original invitation is required to accompany the visa application. Valid for up to 12 months with single, double or multiple entry visas available. However, visitors are restricted to a maximum of 90 days in a 180-day period when using a multiple entry visa. An option if you have friends or relatives in Russia who can host you during your trip. Requires the original personal invitation letter from your Russian host, obtained at the local Visa and Registration Department of the Ministry of Internal Affairs (OVIR). Extremely time-consuming –it can take anything from 45 days to four months to obtain your visa with a private invitation. Granted solely for visiting the city where the invitation has been issued. Required when you are travelling through Russia on your way to another country without staying in Russia. A copy of the air, rail, or other ticket with ‘confirmed’ status and a visa to the country of estination (if necessary) is required. For travellers with flight connections in Russia a transit visa is issued for 72 hours. For transit by car the maximum validity of a transit visa is 10 days. The precise period of validity is determined by the ratio of the shortest transit distance and daily run equal to 500 km. Granted to students enrolled on academic or language courses in Russia. Issued on the basis of an invitation and contract of study with an educational institution. Valid from three months to one year in the first instance, but extendable depending on how long you will be studying in Russia. Granted to foreign employees of Russian companies. Valid from three months to one year with multiple entries. Can be issued on the basis of a Russian work permit, an employment agreement, and an official Russian visa invitation. The company must also be in possession of a license to employ foreign nationals. There are other types of Russian visa for very specific cases (diplomatic visas, refugee visas, visas for humanitarian and religious purposes, etc.). The validity and type of visa should be strictly adhered to. Once in Russia, you cannot change your visa status (i.e. from tourist to business, from business to educational, or vice versa). The only to do so is by leaving the country and applying for a different visa. If the visa type is non-extendable, you must also leave the country within the expiry date specified in order to apply for a new Russian visa, which can be of the same type or different from your original visa. Laid out below are the steps you need to take to obtain a standard Russian Travel Visa (single- entry or double-entry, also called a Tourist Visa) without using an agency or visa broker. If you are traveling to Russia for more than 30 days, or to work or study, then you will need a different type of visa. If you are a US citizen, then successful applicants will be issued with a three-year multi-entry visa whatever the purpose of their trip. In order to apply for a Russian Travel Visa, you need first to book accommodation. The law requires that you have accommodation booked for every night you spend in Russia (excluding nights spent traveling by train). You can book hotel or apartment accommodation in St. Petersburg directly with SAINT-PETERSBURG.COM, and/or book accommodation of any variety in St. Petersburg and elsewhere in Russia on Booking.com. Both these documents fit on to one side of an A4 sheet of paper, and they can be presented to most Russian consular departments as a faxed or emailed copy. Some African and Asian nationals, however, need to present the original stamped and signed documents. Check with your nearest consular department or visa center to ensure that a copy is acceptable. Along with your passport and your visa support documents, you will need to submit a completed Visa Application Form. All applicants for Russian visas now have to fill out their application on the website of the Ministry of Foreign Affairs. Note that you will still need to print out a copy of the application form, sign it and submit it along with passport and visa support documents. The documents a consular official will want to see will depend on the type of visa you are applying for. Visa processing only starts after the embassy/consulate has received all the necessary documents. An original, valid, and signed passport with at least one blank page, valid for at least 6 months after the end of your stay. 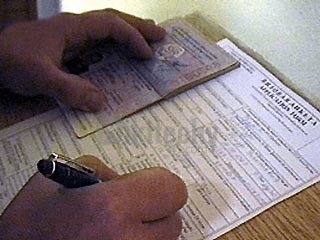 Two signed copies of the Russian visa application form (questionnaire), with all fields completed. An original, valid, and signed passport with at least 2 blank pages, valid for at least 6 months after the end of your stay. Two copies of the Russian visa application form, completed and signed. A passport-size photo, signed on the reverse (some embassies/consulates ask for two photographs). An official invitation from an organization which is authorized to invite business visitors to Russia. A photocopy of the details pages of your valid passport (showing your name, date of birth, passport number, and expiry date). A copy of the Russian visa application form, completed and signed. 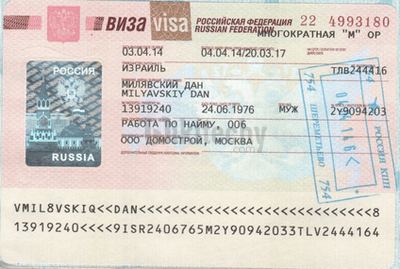 A Russian visa entitlement certificate from the local OVIR in Russia (this must be the original – copies are not accepted). All visa documents must be accompanied by a covering letter specifying the purpose of your visit, dates of arrival and departure, cities to be visited in Russia, and a telephone or fax number where you can be reached once in Russia. A letter of invitation from a university/school in Russia, which can only be issued by the local Visa Service of the Russian Ministry of Internal Affairs (OVIR). 2 passport-size photos, signed on the reverse. A visa in your passport for the country of your final destination (if required). Photos must be matt-finish (not glossy), in order for the embassy/consulate stamp to adhere properly! 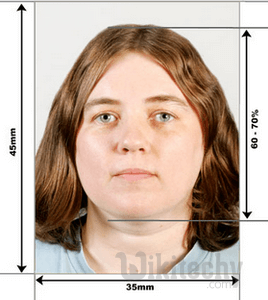 The usual size required is 3 x 4 cm, or 1.5 x 2 inches. The passport should be valid for at least 6 months after the expiry date of your Russian visa! Visa application forms for US citizens and non-US citizens are different. Citizens of Schengen countries must send a ‘card of insurance’ with their visa application. For some types of visas, and for citizens of some countries, embassies/consulates may demand additional documents, such as evidence of medical insurance, an employment or residence permit, or evidence of sufficient funds for your stay in Russia. Failure to provide the correct information could lead to the refusal of your visa. It is always advisable to consult your local Russian embassy/consulate to find out whether any additional documentation is required. With effect from 29 July 2016, visa fee will be applicable as per below mentioned chart (Indian nationals). Total (INR) including Salvia Services Charges + Govt Tax. Visas issued on the basis of direct invitations (Business, Humanitarian and study visas), falling under provisions of the Agreement 2010. In normal process, it will take 4-5 working days and in urgent process, it will take 3-4 working days. Visas issued on the basis of UFMS invitations, Electronic invitation, Telex no. and Transit visa, falling under provisions of the Agreement 2010. In normal process, it will take 10-11 working days and in urgent process, it will take 3-4 working days. In case of Transfer visa, cost is INR 7700. It will take 3 - 4 working days but if visa is issued from Russia, then it will take 7 to 10 working days. No fee is charged in case of diplomatic and official visas. For diplomatic and official passport holders visa is not required if the duration of stay does not exceed 90 days. All national’s passport must be valid for at least six months after your supposed date of departure from Russia. When applying for the visa, at least two pages of the passport should be free of any notes, stamps and visas. To be able to apply for a Russia visa your employer must apply and receive an “Invitation”. This takes about one month. Only then, you will be able to apply (only in person or by mail) for the visa to the Russia Consulate in your country. Applicants planning to stay in Russia for more than 3 months (work or study) must submit HIV Test Certificate issued not earlier than 3 months before the visa application. All documents must be submitted at once. Payment for the visa must be exact, made by certified check, money order or bank draft payable to the Embassy of the Russian Federation. Processing time of visa application is 15 working days. Visa requirements depend upon the foreign individual’s citizenship and his or her intended length of stay in Russia. If your Russia job search and application for the Russia visa and Russia work permit have been successful, you should start preparing for the Russia job interview. Do not forget to take a look at Russia dress code because how you dress is the one of the most important attribute in being hired. Good luck with your Russia visa!